Visit to The Houses of Parliament! 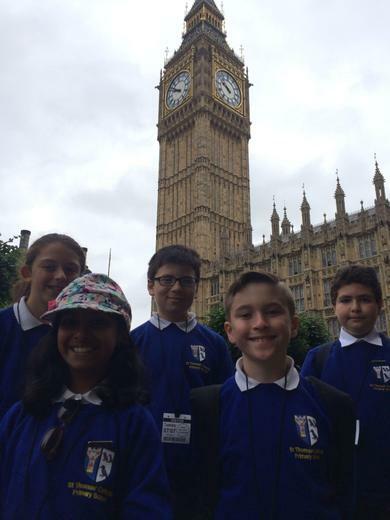 Mohammed, Isaac and Shilka reported back on the successful School Council trip to the houses of parliament. 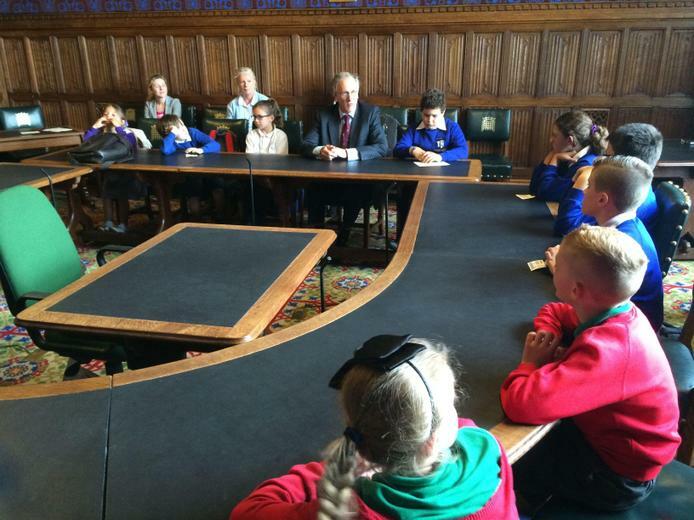 “On Tuesday we were invited to visit the Houses of Parliament by Julian Brazier MP with other local EduCant schools. We enjoyed our journey around the historic buildings. We were surprised to find the House of Commons was really small but the seats were very comfy! We met an SNP member called Brendan O'Hara, MP for Argyll & Bute, who was reserving his seat with a ‘Prayer’ card. He was very helpful and explained what they have to do. We also found out that they say prayers in the House of Commons. Our favourite room was the House of Lords because it had Welsh gold on the throne! It was very posh. We also found out that there was a great fire in 1834 that destroyed the old Houses of Parliament. Out tour guide (called Maria) told us that Henry VIII used to play tennis in the Palace of Westminster where they found one of his tennis balls stuck in the ceiling! 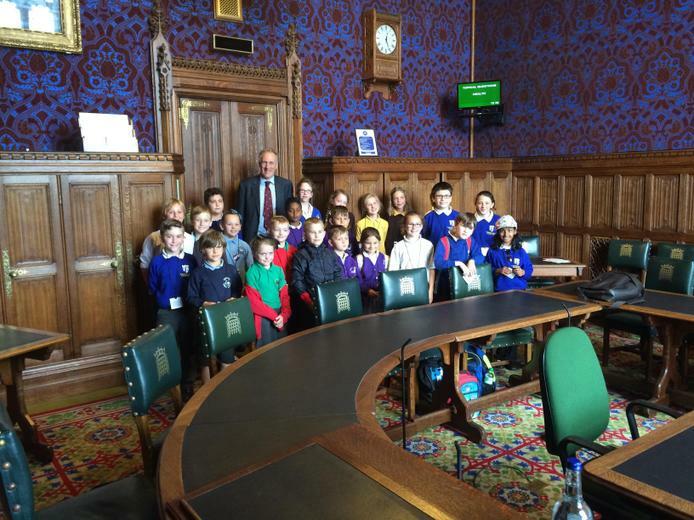 Later we were invited into Committee Room 13 to meet with our local MP Julian Brazier to ask him questions. He was brilliant and gave up a lot of his time to speak with us. We were also able to elect the new EduCant School Council Chair – Emile from St Peter’s and Brendan from Chartham.